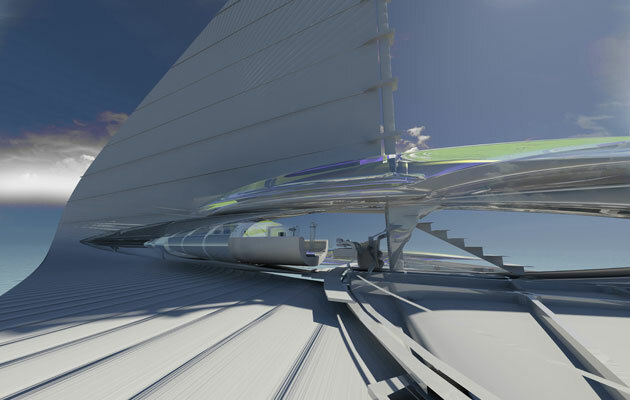 Designs for a futuristic hydrofoil trimaran yacht have been revealed by architect Dr Margot Krasojevic. 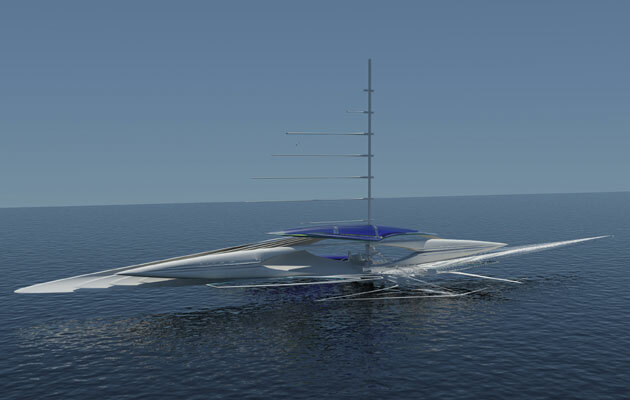 Commissioned by HoldenManz wine estate in Cape Town, the perpetual motion yacht will be solar and wind powered, with construction due to start in April 2015. 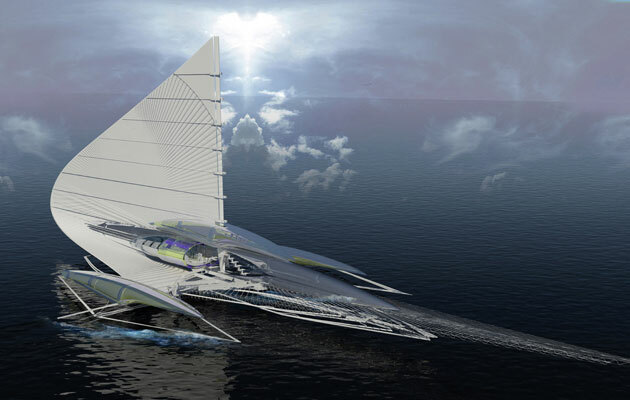 This unique yacht features a carbon fibre sail that curves to form part of the hull and a retractable Kevlar sail covered in aeronautical film. 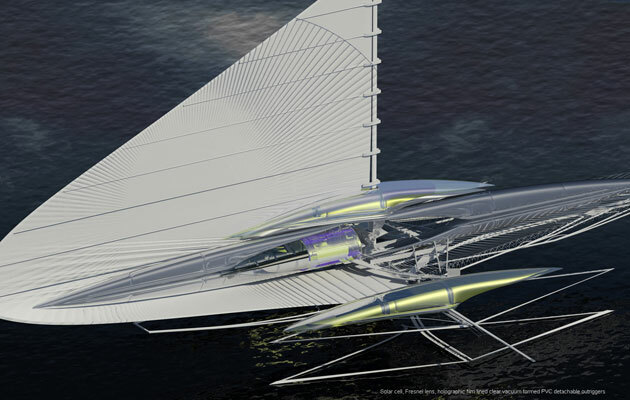 Energy is collected by the solar panels on the wing sail, with a combination of fresnel lens and holographic film clad on the outrigger, projecting more of the sun’s rays onto the panels. 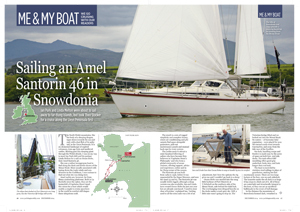 The sail rotates around the mast and has a series of motorised creases to catch the wind. 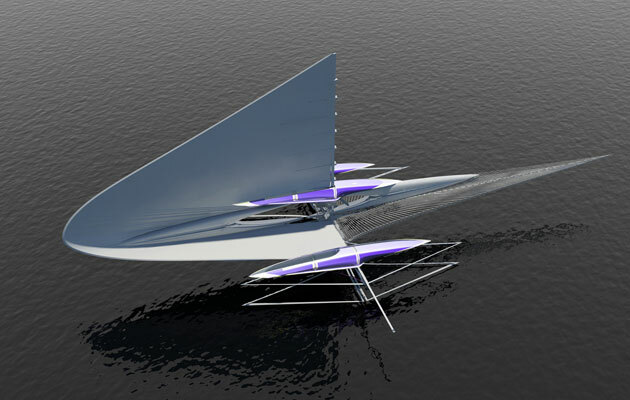 The wingsail is actuated by motors that control these movements, using solar cells and wind energy. The form of the main hull acts as one unit with the wingsail, which wraps into the main body of the hull, creating a continuous surface. This results in the motorised mast changing the shape of the sail, allowing it to harness more wind. 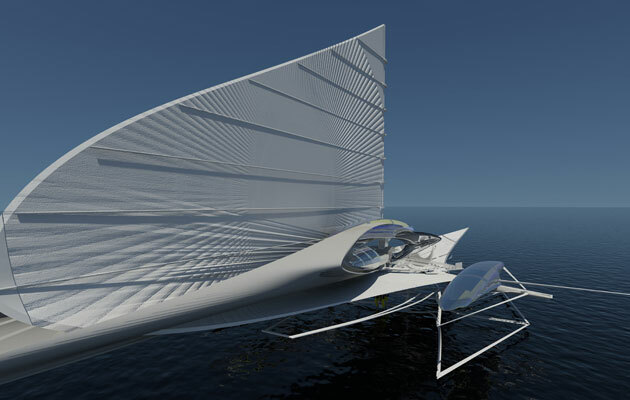 Dr Margot Krasojevic said: “Flexible solar panels located on the top and bottom of the wingsail surfaces generate electricity using wind and solar energy. 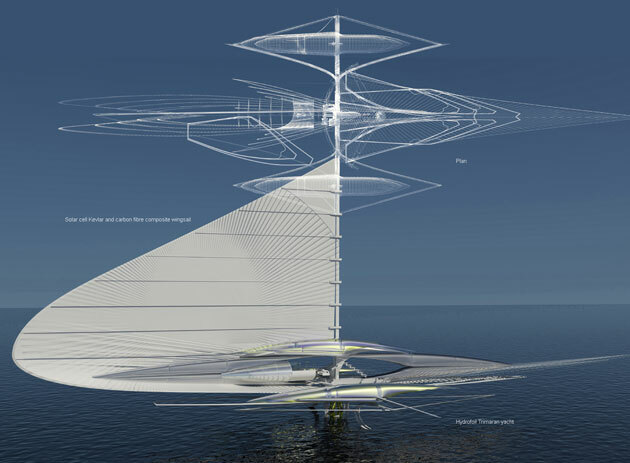 Wind energy generated by the wingsail is converted to electricity and used to power the boat. It also runs a desalination unit which provides up to four litres of clean drinking water per hour. This innovative yacht also features a set of fold-out hydrofoils. 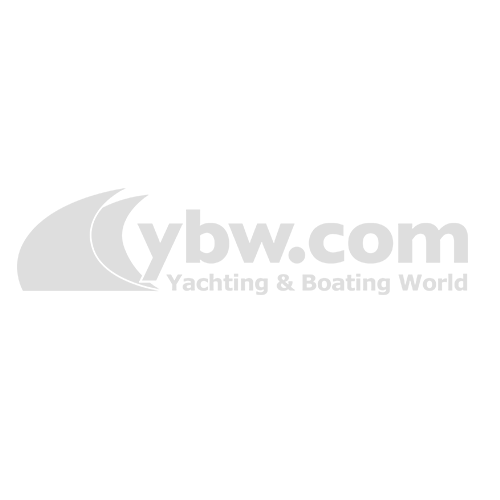 When the boat is in monohull mode, these hydrofoils can be deployed, pushing the main hull up above the water, reducing resistance by up to 80%. 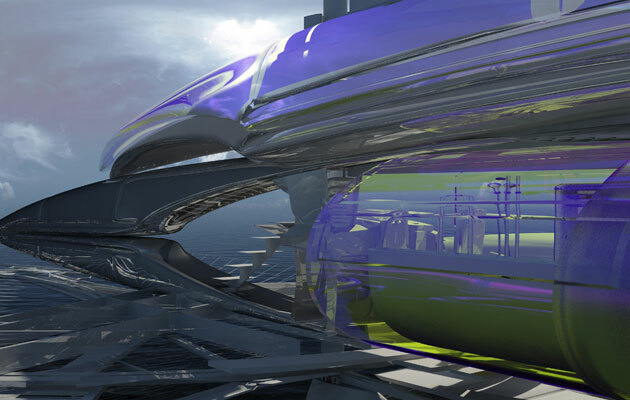 Finally, the main cabin is lined with holographic film which generates extra energy by capturing incident light. 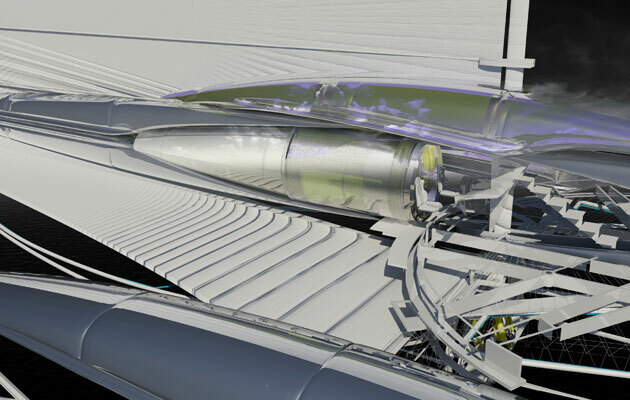 The second stage of the project involves a series of elliptical tracks running across the yacht’s boards, attempting to harness the main hull pendulum motion to run the perpetual retrieving magnetic turbine motor.